$3 off per night when you book direct from World Best Hostels. 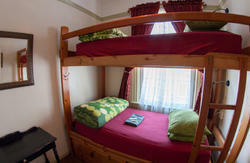 We are an intensely small and friendly backpackers hostel, with shared dormitory style accommodation. Our atmosphere is welcoming and personal and guests tell us the feeling here is like visiting friends rather than impersonal as some larger city hostels can be. We do not have any private rooms because we find private rooms are less social than dormitories. Because of our small size, everyone really gets to know each other. We also frequently go out with the guests to see sights, do pub crawls and other fun stuff. We provide a full range of services and features to make your stay really comfortable. Our kitchen is modern and fully equipped for making real meals. The bathrooms are bright, clean and private. Beds are made of solid steel (which means no shaking or squeaking) and have backpack sized lockers underneath, you will want to bring your own lock, or purchase one from us. All beds are prepared with fresh pillows, linen, and towels. Our hostel is fully equipped with freebies to make your stay more enjoyable. Sports equipment, ear plugs, hair dryers, straighteners, and left over toiletries from previous guests are all available for you! Do you have smelly feet? Join our FREE Sock Wash every night at 8 PM. We understand traveling can sometimes take a toll on your feet, so we will wash your socks for you! That is just the start. We have free wifi, coffee and tea all day everyday, and cheap tacos every Tuesday! 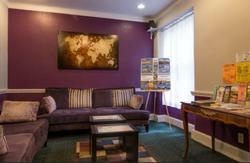 If you love to read, play board games, exchange stories and share skills than you will love our cozy common room. Just a few steps away at reception our crew members are knowledgable on the area and free daily events in the city. Finally, the location is great. 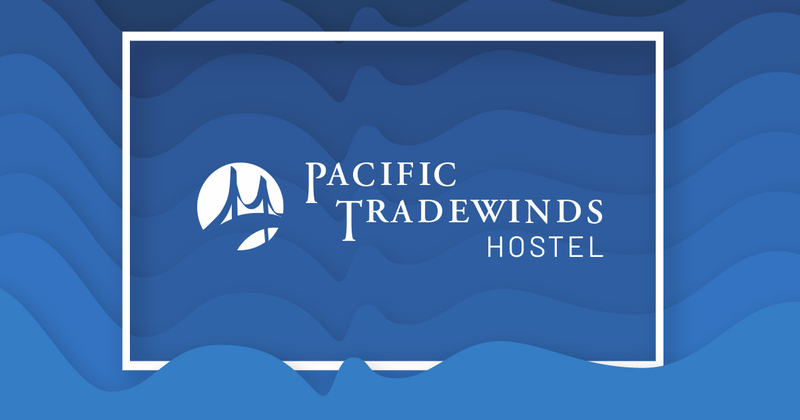 We are located just 2 blocks from the Downtown Transamerica Pyramid, one block from the Cable Cars, a few blocks from Chinatown and North Beach, and buses to everywhere are just outside our door. This hostel is primarily popular with 'off-the-beaten-path' backpackers who are very familiar with hostels and these are the sort of travelers we love to have. If you are new to hostels, please see the text and photos on wikipedia (http://en.wikipedia.org/wiki/Hostel) to get a good idea of what hostels are all about. 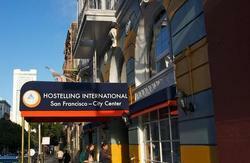 You might also want to see our FAQ at (http://www.sanfranciscohostel.org/faq.html) for additional information specific to our hostel. If this is the right place for you, we encourage you to visit our website and make a reservation from there. The best way to get to us from the airport is to take BART (Bay Area Rapid Transit) directly from the airport. BART is a rapid transit system which connects San Francisco with the rest of the Bay Area, and a ticket from SFO to us will cost $8. Go to the Airtrain (up escalator) and take the Red line from any terminal to the airport BART station. Take BART to San Francisco (Pittsburg/Baypoint, Richmond, or Fremont bound trains will all stop in San Francisco) and get off at Montgomery Street Station. As you walk up to station level with Peet's Coffee & Tea straight ahead of you, take the exit to street level on your left. At the top of the stairs to the street, you'll need to turn right onto Montgomery Street which is right behind you (look for the big Wells Fargo). Walk north and turn left on Sacramento Street, and we're on the right - look out for our blue security gate. The trip takes about 35 minutes. BART runs from 4am to midnight on weekdays and starts running at 6am on Saturdays and 8am on Sundays and public holidays.